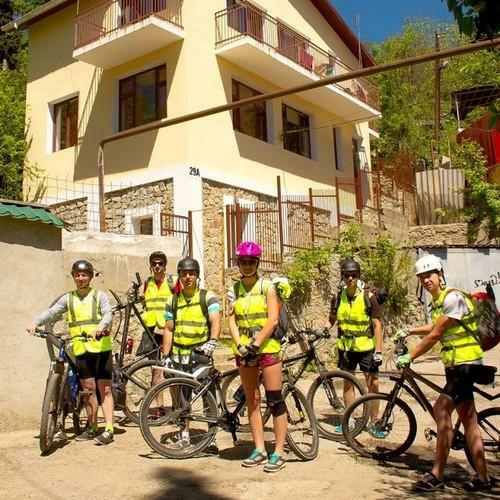 Sobaka Hostel is the only whole year Hostel in Yalta, Crimea, Ukraine and with a mixture of sea and mountain air is an extremely healthy place to stay in the Old Yalta distric with lots of narrow cozy streets. This modern 3 floor cottage made from eco materirals offers comfortable rooms with a balcony, and there is a shady backyard with barbecue for meals and relaxations, they have 2 dorm rooms and 3 private rooms with bathrooms and showers on each floor. 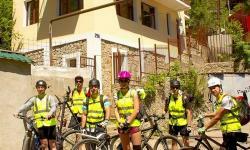 Sobaka Hostel has mountain bikes for rent, and can organize hiking trips and cycling tours with an English speaking guide, they have 24 hour reception, free WiFi, tea and coffee, satellite TV, a fully equipped kitchen for self catering and there's a washing machine, bed linen and towels are provided, come for an unforgettable stay at great value.